The fully-fledged retail business we see today as Boxer has carved a very interesting 41-year journey. Throughout its existence, one thing remains true... they were, they are, and they always will be "the people's champion" fighting for low prices, quality goods and ensuring the upliftment of their respective communities. this new identity the company prospered and in March 1979 a second branch was opened in Empangeni. The company was taken over from the original founders by an independent group of investors in 1988. This was an interesting time for the company as it embarked on a development programme aimed at identifying new store sites in other areas of KwaZulu-Natal. In 1991, a name change was made due to an expansion plan with the desire to branch out into other provinces. All trading stores were then re-launched under the name of 'Boxer Cash & Carry'. East London and Queenstown were the first two Boxer Cash & Carry stores to be launched in the Eastern Cape in September 1995. The next year, the Boxer Cash & Carry concept was further extended to Mpumalanga, with the opening of a branch in Burgersfort. By late 1997, a new corporate identity logo was adopted, and the trading retail name was changed to 'Boxer Superstores' to better reflect its role, as a retailer. Flying under the retail radar, Boxer Superstores continued to grow and expand where the company believed it could satisfy consumer needs. At the end of August 1997, the company merged with one of its parent companies, Goss & Co., adding three outlets in the Transkei. In October 2001, Boxer Superstores' first step into the North-West Province, namely Mafikeng, was taken. The next province that Boxer Superstores entered was Limpopo, in the town of Tzaneen in 2002. 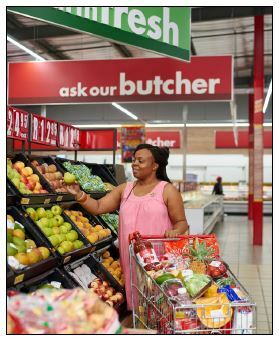 In the same year, Boxer Superstores successfully concluded negotiations and announced the acquisition by Pick n Pay. This ideally placed the group in a position to tackle the middle to lower LSM section. 2003 saw the rollout of an aggressive store-expansion programme with seven new store openings across the various provinces. 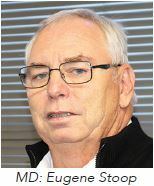 With the success and expansion of the Superstores brand, Boxer saw an opportunity to develop a new trading division within the company, through the launching of a Boxer Build store in Port St Johns, Eastern Cape in May 2004. Adopting its own identity, the Boxer Superstores logo was uniquely modified to differentiate the builders' hardware division. The reason for these two logos was to prevent customer confusion and clearly differentiate the supermarkets from the builders' hardware outlets. Boxer Build outlets can be found in both the Eastern Cape and the KwaZulu-Natal provinces. Customer service and satisfaction is at the forefront of everything Boxer does, which led to the launch of the Boxer Customer Care Line in March 2005. This sharecall number - 086 002 6937, enables Boxer's management to address any queries, commendations and the likes, and most importantly, deal with them efficiently and effectively. Understanding customers' need for convenience in early 2007 saw Boxer complete the national store scanning roll out to all trading stores, enabling the outlets to offer customers other value-added services, such as paying their television licenses and electricity accounts. Solidifying that Boxer is a full service, everything under one roof retailer. Punch and Boxer Liquors' stores can be found in many South African provinces. 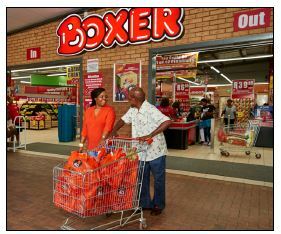 Boxer entered the Western Cape Province in 2015 for the first time, firmly entrenching the Boxer brand as a national retail supermarket offering. The first store to open in the Western Cape Province added yet another milestone to the Boxer Company as it heralded the 200th trading store in Boxer's estate across all trading formats. In 2016, Boxer introduced another division, Boxer Super Meats with two stores opening in KwaZulu-Natal. For decades Boxer has been widely known for its fresh and frozen meat selection, hence, the necessary development of a concept that can successfully operate outside a traditional supermarket environment. An on-site 'Shisa Nyama' attracts the shopper who wants to cook their meat purchases; attracting larger crowds of customers to this format. 2017 saw Boxer stepping into a very significant year and marks a milestone that will forever be remembered by its employees and customers nationwide. It was, in fact, 40 years ago that the beginnings of the Company commenced in Empangeni, KwaZulu-Natal and since then the retail business has transformed from the days of 'we only sell basics' to where it is today; a business in transition to be able to hold the undisputed title of Africa's Favourite Discount Supermarket. Boxer is a brand that continues to grow and expand in areas where the company knows it can serve the needs of the community through its wide product range, sold at low prices and served in an efficient customer friendly manner. Definitely helping customers to "Never pay more than the Boxer price". To be the people's champion for the communities we serve - growing a lifetime of loyalty.